The Cornwall & District Fire Department, and all individuals that make up The Cornwall & District Fire Department, respect your privacy. We want you know exactly what happens with any of your information. 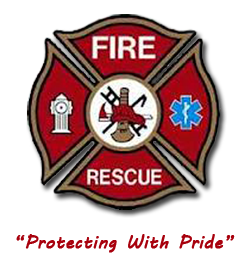 When you request pages on The Cornwall & District Fire Department's hosting server, the server automatically recognizes the browser's host name, and IP address, operating system, browser type and version as well as the referring URL. This information is used to aggregate information on what pages users access or visit. This information is collected solely for statistical purposes and is not used to identify individuals. These servers do not record e-mail addresses or any other personal information. The Cornwall & District Fire Department may send you a cookie (a piece of data stored on the user's computer). This is a standard and acceptable practice that is simply done to enhance your experience on the web site. The cookie is not linked to or contains any personally identifiable information. All of us at The Cornwall & District Fire Department truly hate Spam, so the fire department maintains a strict "NO-SPAM" policy. If you give us your name and e-mail address for a subscription, it will be kept secure, under lock and key. It will never be shared. If you sign up for an e-mail newsletter, discussion list, topical series of informative email messages, or an online min-E-course, you can be sure that you will receive only the e-mails you have requested. You will not receive additional information or mailings unless you really want them. We will never sign you up to any list unless you make the request. To ensure that someone else doesn't sign you up, you'll notice that we even make you confirm your subscriptions. That's called a double opt-in process that the industry has adopted and this site makes its standard. All to protect you and the information you request. Occasionally, we may send an additional message  possibly a special offer to subscribers only or an announcement of new resource that becomes available. If you feel that you no longer want to receive our emails, you can easily unsubscribe from any subscription anytime by clicking the unsubscribe link which appears at the bottom of each email and every email sent to you. If you have any questions about this privacy statement, security issues or the practices of this web site, please contact us. We'd be happy to address your concerns. Keep up to date, don't miss a thing! © 2013 Copyright  Cornwall & District Fire Department  All rights reserved.